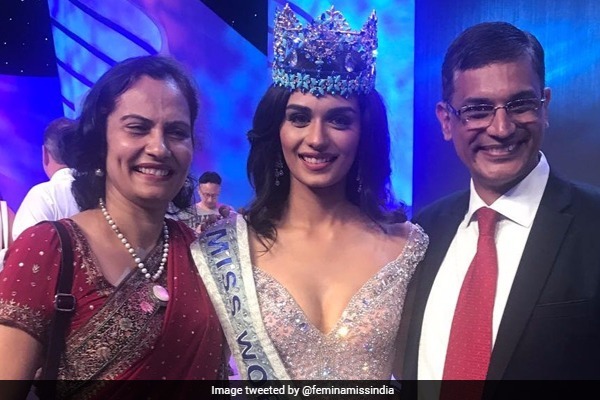 Miss World 2017: After 17 Long Years, India’s Manushi Chhillar Crowned Miss World 2017! After Priyanka Chopra, India’s Manushi Chhillar from Haryana won the much desired crown of Miss World 2017 in China. The 20-year-old Manushi Chhillar from India is crowned as Miss World 2017 beating other 108 beauty pageant participants from around the world. Manushi, a medical student go home with a pride and why not, it took 17 years to break the spell at the contest to win. Manushi Chhillar belong to Haryana, India. She strike around 108 women across the world who participated in Miss World beauty pageant for the year 2017. The ‘Miss World’ title comes to India after Priyanka Chopra had won in the year 2000. Manushi Chillar’s last round had a cut throat competition from England, France, Kenya and Mexico. First runner-up was Miss Mexico Andrea Meza and second runner-up was Stephanie Hill from England. The grand event which was organised at Sanya City Arena in China was televised live globally. Last year’s Miss World winner, Stephanie Del Valle passed on the crown to Manushi Chhillar. Manushi’s ultimate reply to the question is what won her the crown. She said any mother deserves the highest respect above all. “All mothers sacrifice so much for their kids. So, I think it is the job of a mother that deserves the highest salary,” said Manushi. Manushi was crowned Miss World 2017 crown in presence of her parents and brother. Her entire family was present at the event in China. Manushi’s profile on the Miss World website says that she aims to be a cardiac surgeon and wants to open a chain of non-profitable hospitals based in rural areas. A trained Indian classical dancer, Chhillar has a passion for outdoor sports and actively participates in paragliding, bungee jumping, snorkelling and scuba diving besides sketching and painting. Her life motto reads,“When you cease to dream you cease to live” and “Courage to give flight to your dreams and the ability to believe in yourself makes life worth living”. Manushi is the sixth Indian woman to win the coveted title of Miss World. Previous : Inside PICS: Salman Khan, Iulia Vantur, Katrina Kaif At Arpita-Aayush Wedding Anniversary Celebration! Next : In Pics: Tennis Champ Serena Williams’ Fairytale Wedding With Alexis Ohanian!